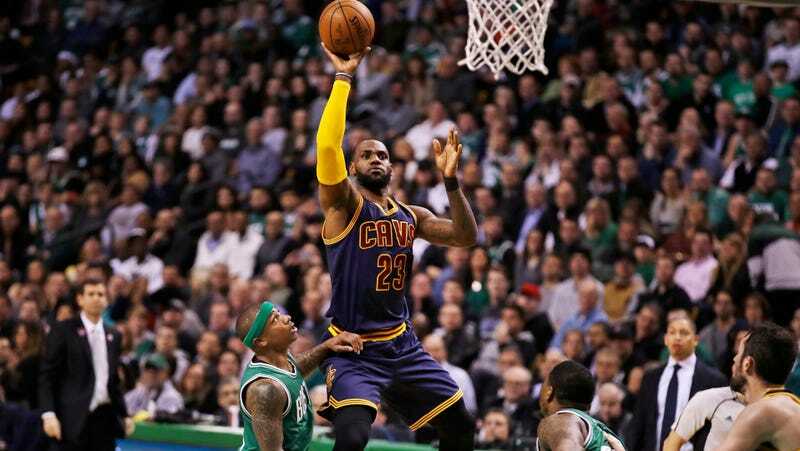 In the first half of the Cleveland Cavaliers’ 114-91 win over the Boston Celtics last night, LeBron James threw down a massive dunk, served up a demoralizing block on the other end, and then trotted into the crowd to bask in the attention of his adoring fans. This game was not in Cleveland. There was at least one guy in the crowd wearing a Cleveland shirt (who sadly didn’t get any LeBron contact), but the others—at least some of them—were presumably Celtics fans, who were probably not thrilled that James had just squashed Marcus Smart’s layup attempt like a pesky gnat. But when one of the best players off all time offers you a high five, you accept it.